Occupy the centre stage at every crowd by wearing this glistening watch from the Titan Karishma Revive collection. The watch comes with a special shaped silver colour dial and has a unique de-plated design pattern. The dial also comes with a studded Swarovski crystal which gives the watch a royal look. The golden colour case and the glossy finish on it elevate the style equation. 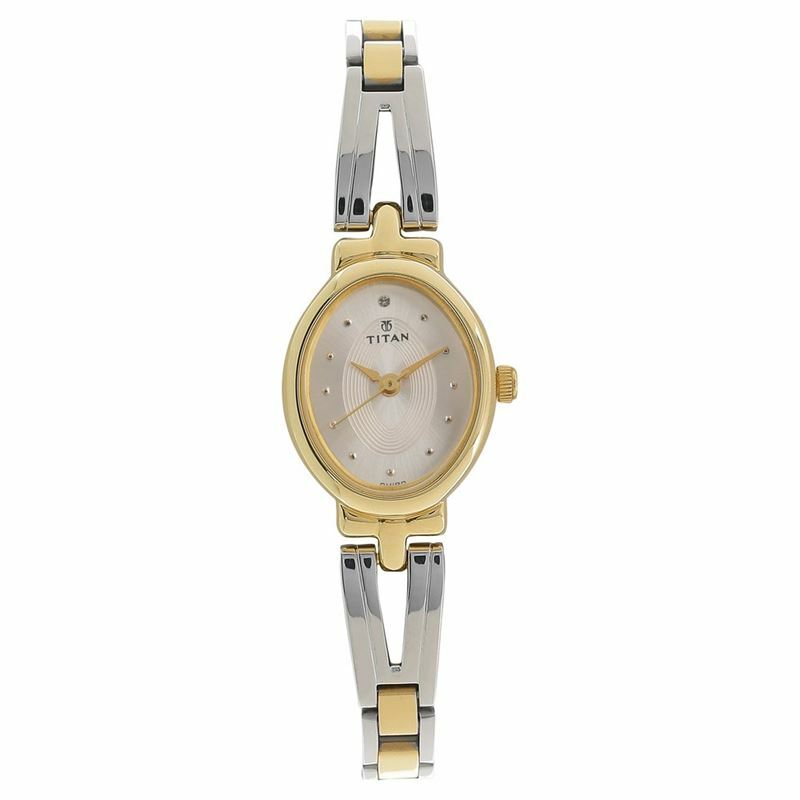 The two-toned half kada stainless steel strap is a mark of beauty and makes this watch a perfect choice for women.